Ceiling panels with holes hung over MBTA riders waiting for an elevator at the State Street Station concourse under 60 State St. The poor condition of MBTA stations, garages, and other facilities across Greater Boston suddenly emerged as a campaign issue in the race for governor Monday, as Republican incumbent Charlie Baker and his Democratic challenger, Jay Gonzalez, traded blame over the state of the system. 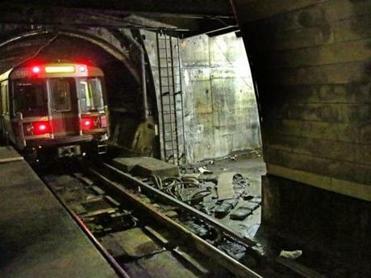 Gonzalez seized on a Globe report Monday that more than half of all Massachusetts Bay Transportation Authority stations and parking facilities are in need of serious repair, with many prominent subway stations scoring the lowest possible marks in a 2017 assessment of the system. The Democrat said the conditions showed that Baker has been too timid in his approach to fixing the transit system. But Baker returned fire, using Gonzalez’s own past as the budget chief under former governor Deval Patrick, saying the Democrat allowed conditions at the T to worsen during his tenure. 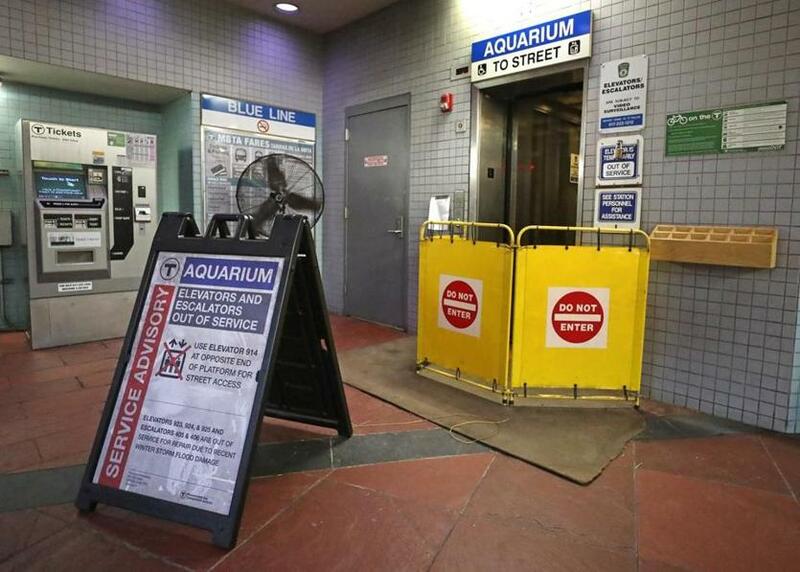 Gonzalez spokesman Kevin Ready said Baker has misrepresented his role at the time, noting that he was not responsible for directing spending at the T.
Aquarium Station has had broken elevators and escalators for several months as a result of flooding. The finger-pointing was reminiscent of Baker’s first run for governor, back in 2010, when he unsuccessfully challenged Patrick. At the time, Patrick pointed to Baker’s own track record as budget chief in a previous administration, arguing that the Republican left the transportation system in dire financial straits. This year’s dispute highlights Gonzalez’s strategy to tie the struggles of the T and the broader transportation system to Baker, who was just weeks into his term when most transit service froze up during the winter snowstorms of 2015. After barely mentioning the transit system during his 2014 campaign, it suddenly rose to the top of Baker’s agenda as a new governor. Baker imposed new controls on the MBTA, and the agency has since expanded the scope of its efforts to overhaul the oldest parts of the system. The Baker administration this spring announced a five-year, $8 billion plan for to fund repair, modernization, and expansion work. But the two candidates have split over money. Baker said the T does not need additional revenues to make improvements; Gonzalez has promised to make even more improvements, at a much faster timetable than Baker, and to collect new taxes on wealthy residents to pay for them. The T recently boosted parking rates, and is also making more money off advertising and real estate deals. A fare increase is likely next year, which would be the second under Baker’s watch if he remains in office. Gonzalez has said he would put off a fare increase until the system works better. 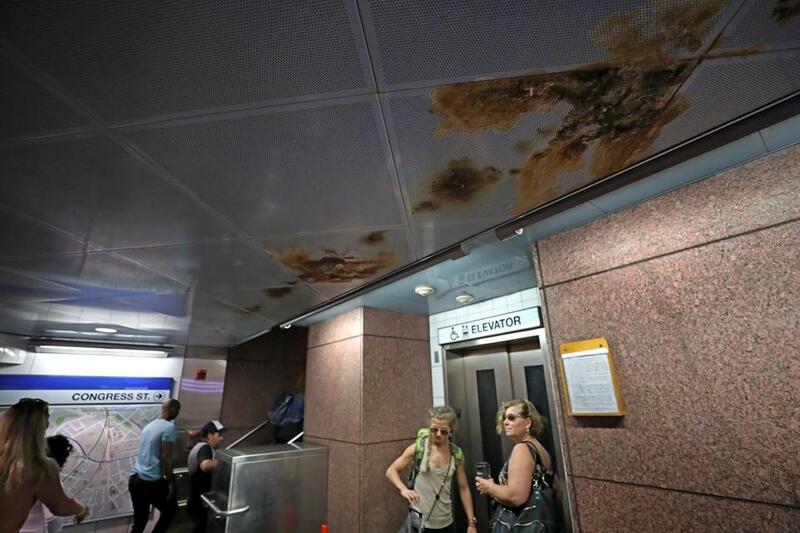 Amid the back-and-forth, MBTA officials Monday stressed that the stations and other poorly rated facilities are safe. He said the T will focus on more maintenance to ensure stations don’t deteriorate. And officials also said that as part of incorporating new federal evaluation guidelines, the assessment that 57 percent of MBTA passenger facilities are in poor shape could change. While the T plans to spend hundreds of millions of dollars on station improvements, officials have prioritized projects to replace neglected vehicles and tracks, because they will more directly improve riders’ commutes. On Monday, the board hired a contractor to develop new high-capacity Green Line cars for $44 million. T officials hope the first new cars will come online by 2025, and have pledged the entire system — including stations — will be considered in a “state of good repair” within 15 years. Gonzalez has also attacked that timeline, arguing the system should be fixed quicker using new tax revenue. But he declined to provide an exact timeline of how quickly he could fix the long-neglected system even with more money. “This isn’t going to be fixed in five minutes. I know that. But 15 years is ridiculous,” Gonzalez said. State officials have said the 15-year timeline is already aggressive, and had already been compressed from a prior goal of 25 years. And at Monday’s board meeting, MBTA chairman Joseph Aiello said moving any faster would likely require shuttering service for prolonged periods. Chris Dempsey, director of the advocacy group Transportation for Massachusetts, said the dispute highlights just how long problems at the T have been developing. On the one hand, the T may need more money, Dempsey said; but on the other, the agency doesn’t have the staff or capacity to fix everything overnight.